5 Must-Follow Tips For Leather Boot Care – Keep Your Boots Looking Brand New! Boots are a cornerstone of cold-weather fashion, and whether you’re a man shopping for high-quality boots from companies like Allen Edmonds or Red Wing, or a woman wearing Clark’s or Michael Kors, you’ll want to take great care of your boots to make sure you stay fashionable for years to come. 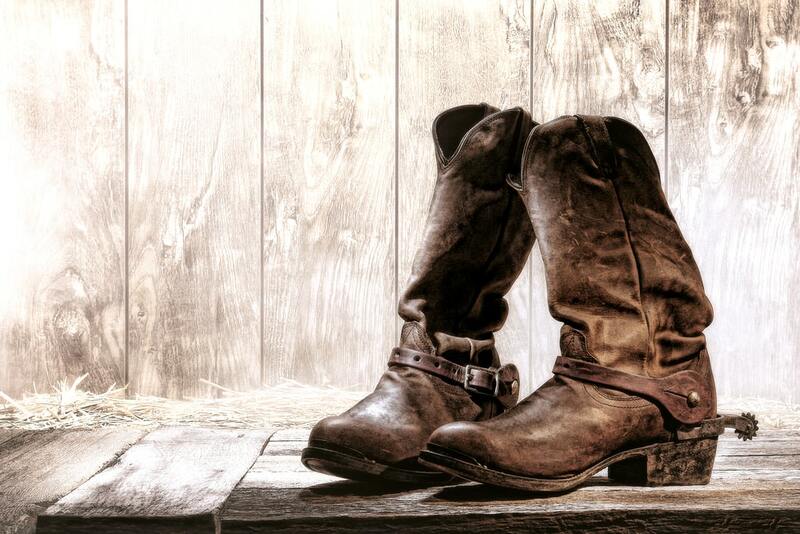 So, what can you do to keep your boots looking brand new? Here are our top tips. Leather is the skin of an animal, such as a cow. This means that, just like your own skin, it can dry out and crack without proper moisture. And because leather is (obviously) no longer living, it cannot produce its own oils. That’s why we recommend oiling your boots once per year, usually before the winter. You can use a special oil-based weather protectant if you want, but pretty much any oil will work. Mink oil is used by some, but our favorite is refined coconut oil. This oil is scent-free, and solid until it’s rubbed into your boots. Brush dirt off of your boots and clean them with water and a clean towel (and saddle soap, if they are heavily soiled), and then give them an even coating of oil. Doing so will protect the leather from the elements. Oiled leather is very water resistant, but not usually completely waterproof. An additional layer of waterproofing spray helps provide an additional shield against moisture, mud, oil, and any other compound that could stain or damage your boots. Dirt can become caked onto boots, and eventually driven into the soft leather material. For this reason, you should brush dirt and mud off of your boots regularly. This will help buff the leather and keep it from becoming too dirty. Road salt is a necessary evil in areas with heavy snow, and it’s common on both roads and sidewalks to keep them clear. But salt dries out and stains your boots. So do your best to wipe your boots off whenever they come in contact with road salt, to prevent this issue. If your boots get extremely wet, consider sticking them by a space heater, radiator, or a heating vent to dry them out. Moisture can seep into the leather and crack or damage it, so it’s best to dry them out as soon as you can. Just don’t leave them too long – prolonged, high heat can also damage leather. Follow These Tips – And Stay Fashionable For Years To Come! When properly treated, a high quality pair of boots can easily last you a decade or more, and stay in great shape the entire time! So follow these fashion tips for caring for leather boots, and you’ll get the most out of your investment in high-quality leather.